A friend has been using a beautiful 50’s caravan to head to festivals and sell efficient outdoor cooking apparatus, through his company wildstoves.co.uk. 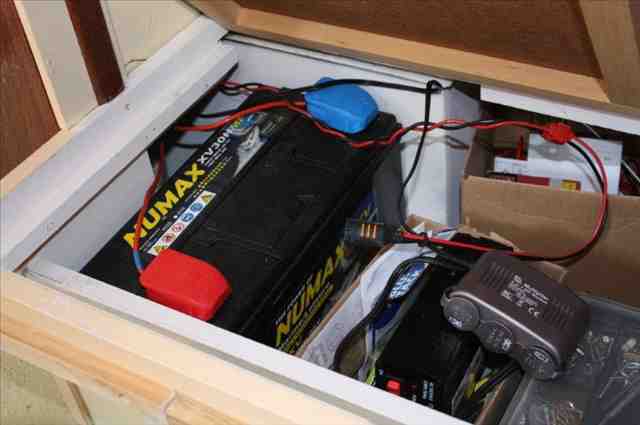 He had already installed a 12V lighting system and a deep cycle battery. This year he planned on expanding his system and incorporating solar PV power. Already a very low user of energy, he did not want a large solar array, just enough for lighting at night, a radio and perhaps a laptop computer every so often. re-innovation was asked to design and specify the components for the system and then head over to help install it. 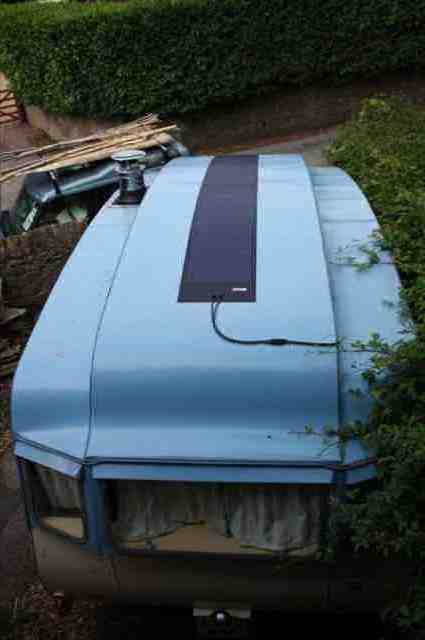 This caravan from 1952 gets the solar treatment. A UniSolar 68Wp amorphous silicon flexible stick-on solar panel was used. 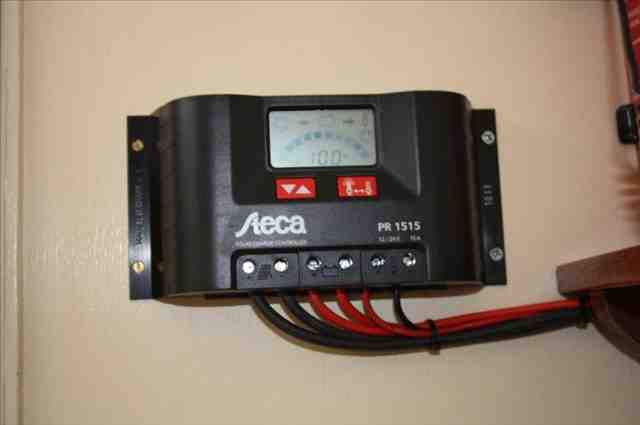 A Steca PR1515 charge controller showing a fully charged battery. The 120Ah sealed lead acid battery bank. 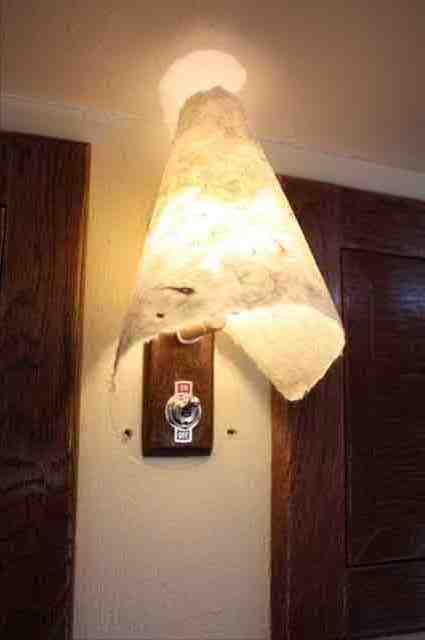 The lighting was all high-efficiency 12V LED, with home-made lampfittings. 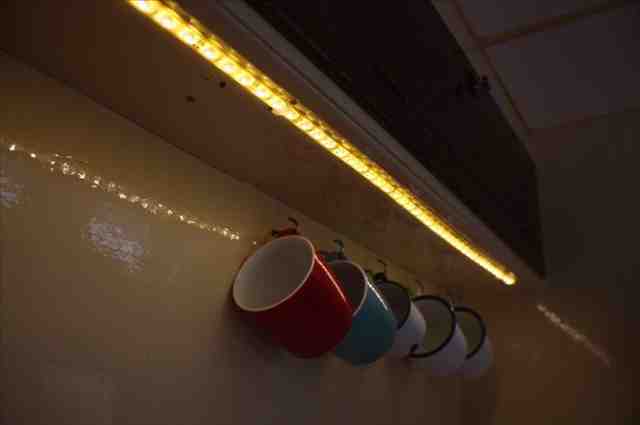 LED strip lighting used for the kitchen area. 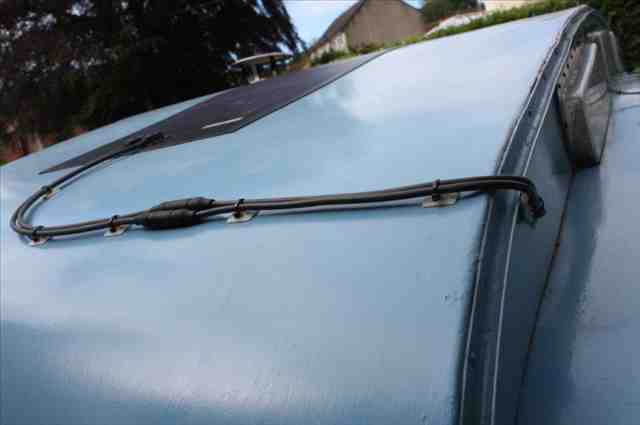 The cables brought into the caravan from the side to ensure its watertight. The great thing about solar power systems is that they are very easy to expand, such as when finances allow. This system was designed to be upgradable with another solar PV panel or two if needed. If planning your own small system with the view to future upgrade I would give the advice to choose a battery bank that is large enough for your final system and a charge regulator that can cope with the full amount of solar PV you are planning. You should not mix batteries of different ages (even if they are the same make) nor of different makes or capacities. Hence, if you are planning on increasing the system size in the future (up to 3 years) then it is best to buy a battery bank with enough capacity for the final design. This will save you having to buy a new battery bank. The same applies to the charge regulator. If you buy one which is suitable for 5A at 12V (approx 60Wp) then you add on another 100Wp of solar PV, you will need to get another charge regulator – either one for the 100Wp addition or one that can cope with 100+60Wp. This could add to the cost of upgrading the system. If you have a potential renewable energy project, please contact us for independent advice on your options.